← Concussions: Is It Worth It? There are very few times in life where we realize, in the moment, that we are standing in the presence greatness. We may reflect back on a time or place and recall with a definitive fondness how amazing a person or situation was, but those thoughts seem to occur more in a moment of reflection. To have that realization in the moment seems far less common. In my life it has happened only twice. When my daughter was a baby, we were living in San Diego and in the midst of five wonderful years working alongside Dr. Bob and Linda Sanet. The clinic was in a very large center in the heart of the city which also housed the Osteopathic Center for Children. At the time my employment began, I had never heard of Osteopathy and didn’t know what it had to offer. Not long after, my daughter, who was a baby at the time, developed chronic ear infections. We had tried the more traditional route of treatment with very little success. We were encouraged by Dr. Viola Frymann to try Osteopathy. Osteopathic physicians focus on prevention, tuning into how a patient’s lifestyle and environment can impact their well-being. DOs strive to help you be truly healthy in mind, body and spirit — not just free of symptoms. Often referred to as “a living legend”, what Dr. Frymann may have lacked in stature she made up for ten-fold in medical savvy. Anyone in her presence didn’t need to be told how amazing she was; somehow, you just knew. My one and only personal experience with her occurred the first time my daughter became very ill and was treated by Dr. Frymann. I watched with amazement as my daughter literally got well before my eyes, during her treatment. There were other stories, too. A friend of our family at the time had moved to San Diego from Colombia just to be treated by Dr. Frymann. Their youngest son suffered from a neurological disorder and was experiencing seizures numbering in the hundreds, on a daily basis. Dr. Frymann’s treatments not only addressed his seizures, they improved this young man’s quality of life immensely. And there were so many other stories of people she’d helped and lives she changed. If they were a way to count them all, you’d better bring a calculator, because you’ll be there a while. I was sad to learn of Dr. Frymann’s death last weekend, although, admittedly it came as no surprise that her death inspired the local news in San Diego to run a story about her. She just was that amazing. 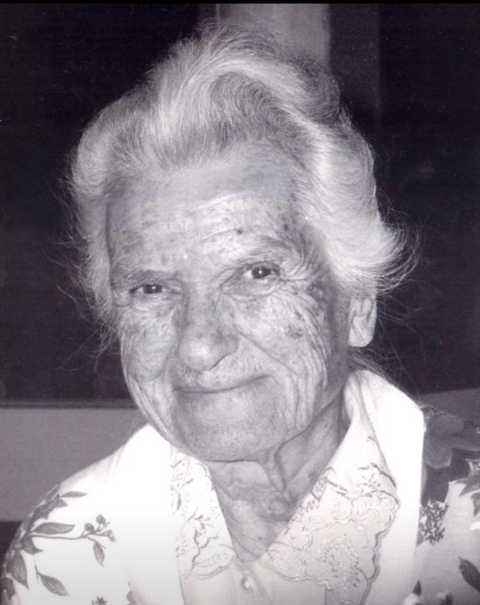 Read more about Dr. Viola Frymann here. Posted on January 28, 2016, in From My Perspective.... Bookmark the permalink. 3 Comments. Thank you for this blog post Robert. Dr. Viola was a true healer. She understood “neuroplasticity” before it was a word. When we first came of San Diego she agreed to treat Bob, though she normally did not treat adults. And over the years he co-managed many patients with her. Thanks, Linda! She was quite a lady!